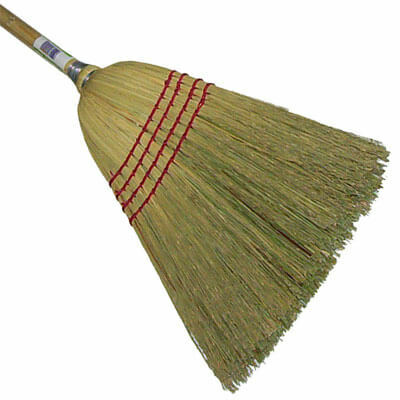 Corn brooms are what most people think of as the basic household broom. Models that are shown below are either a combination of yucca fiber and corn fibers, or all 100% corn. 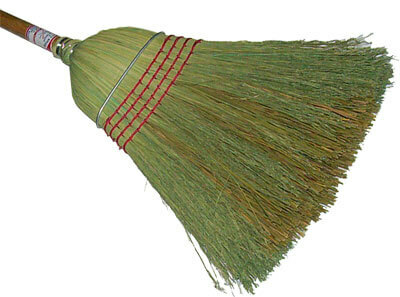 These brooms are strictly for dry sweeping and are available in very small to a large warehouse size sweep area. All models include an attached hardwood handle that is coated for comfort and strength. The yucca fiber is a bit more pliable than the corn fiber, so it is usually chosen for lighter duty sweeping. Yucca blend brooms are tough yet cheaper that the 100% corn broom. 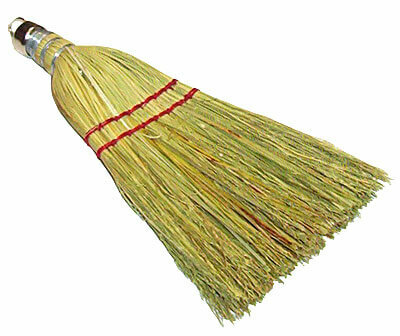 The corn brooms are usually chosen as a low cost sweeping tool when compared to the larger floor push brooms. Multiple size options — For small janitors carts to large warehouse needs. Blended corn and yucca brooms are built with corn fiber outer rows and tough yet pliable yucca inner row fibers. Ideal for dry sweeping indoors and outdoors at a low cost. 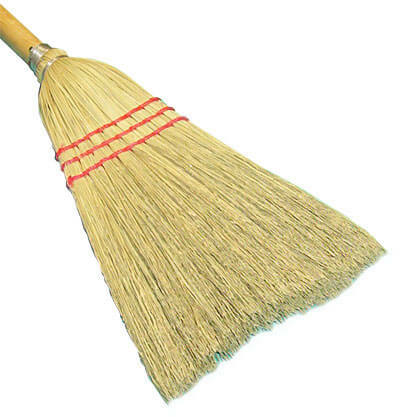 For sweeping roughest of surfaces, use corn brooms for rugged indoor and outdoor work. If you are seeking the best push broom, consider the black diamond floor brooms. These have ten bristle types to cover a wide range of sweeping jobs. Strong hardwood blocks are strong and true with mounting slots that are engineered for an exact fit of precisely engineered mounting hardware. A multitude of broom handles choices can be found in 54" to 194" in either metal, aluminum, fiberglass or wood construction, depending on mounting style style needed and material made out of to suit application.